WARNING: This post may offend religious feelings. 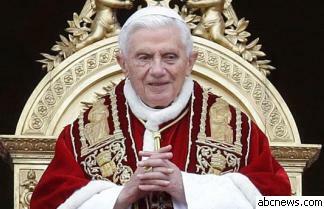 POPE BENEDICT XVI is stepping down as spiritual leader of 1.2 billion Roman Catholics. He has decided instead to run for Senate President. The Pope has announced his resignation. The last straw was the RH Law. Pope Benedict XVI has resigned. There’s no news yet on whether or not God has accepted his resignation. After only eight years as spiritual leader of Roman Catholics, Pope Benedict XVI is stepping down because he can no longer fulfill his duties. 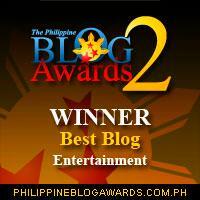 Now we realize the importance of having a first runner-up. Pope Benedict XVI is quitting “because of advanced age.” It got worse when the Vatican created those 9 Twitter accounts for him. Of course, his resignation would have happened much earlier had he signed up for Facebook. There’s no truth to rumors though that the Pope decided to quit because of Internet bullying. Pope Benedict XVI, who turns 86 this April is quitting his job “because of advanced age.” I can’t believe nobody has informed him yet about stem cell therapy. Pope Benedict XVI is stepping down, and it appears his resignation is irrevocable. The Pope has also denied rumors he had an affair with Senate President Juan Ponce Enrile. The bad news: Pope Benedict XVI has resigned, and will be in office only until the end of the month. More bad news: He’s not entitled to separation pay. The College of Cardinals will elect a new Pope in a papal conclave in March. Some possible replacements have been identified in the news including Filipino Cardinal Luis Antonio Tagle. Filipinos are hoping that the next conclave will have a “text vote” component. The last time a pope resigned was in 1415 when Joseph Ratzinger was still in grade school. The last time a Pope resigned was in 1415, also the last time the Lakers’ win-loss record was above the .500 mark. The Pope has resigned! Bob Arum wants Manny Pacquiao to replace him. You know something sinister is happening in the Philippines when Pope Benedict XVI announces his resignation on the eve of the start of the official campaign period. The official campaign period for national candidates kicked off Tuesday, Feb. 12. UNA and Team PNOY held proclamation rallies in Cebu City and Manila, respectively. Both events were fun and festive – just what everyone expected in a circus. May I ask if you are a practicing catholic? I have been a fan of your column and I hope other pious catholics won’t be offended by your “heckling” our Holy Father. Peace. Politics is an entertainment platform for ugly people with narcissistic personalities. Enjoy the travelling circus! also heard that the pope will guest on Oprah to admit on poping..
why don’t i find this entry funny? I blame the fake nun the pope met on twitter for the resignation. Next Next post: HAPPY BIRTHDAY KRISSY!